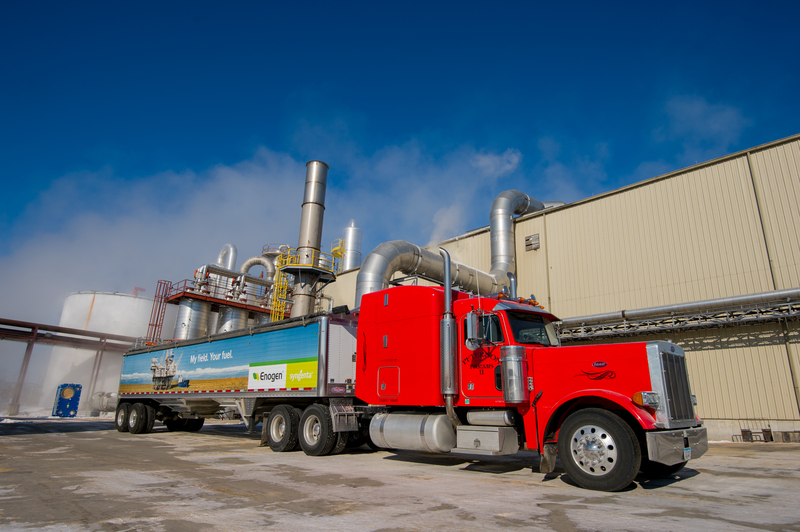 MINNETONKA, Minn., U.S.A., Feb. 28, 2018 – Since its introduction, Enogen® corn enzyme technology has provided corn growers the opportunity to be enzyme suppliers for participating ethanol plants and earn a per-bushel premium. Syngenta today announced that premiums-to-date paid to Enogen corn growers are expected to surpass $100 million during 2018. Nearly 40 percent of U.S. corn goes toward ethanol production.1 According to Chris Tingle, head of commercial operations for Enogen at Syngenta, providing alpha amylase enzyme to ethanol plants as Enogen grain is helping corn growers maximize return on investment for their ethanol acres. He added that this unique business model supports rural America by keeping enzyme dollars local and helping ethanol plants be more successful. Syngenta is currently contracting with more than 1,700 corn growers and has marketing agreements with 31 ethanol plants across 12 states. 2018 ethanol production with Enogen corn is expected to be over 2.5 billion gallons. For more information about Enogen corn hybrids, contact a Golden Harvest® Seed Advisor or NK® retailer, or visit www.Enogen.com. ©2018 Syngenta, 11055 Wayzata Boulevard, Minnetonka, MN 55305. Enogen® and the Syngenta logo are registered trademarks of a Syngenta Group Company.